Ace Companies services the Del Mar area in California day and night. Furthermore, we also extend our services beyond this are to other areas surrounding San Diego. We have been locally owned and operated in the San Diego area for over half a century, but our services are modern and extremely cutting edge. You won’t find another HVAC or plumbing team that provides the identical amount of fast and friendly assistance as ours. Plus, there is our promise to offer you 24-hour emergency service when you need it most. Not convinced yet? Read our testimonials page to hear how we have offered invaluable service to our clients. Once you’re finished pick up the phone and dial 1-888-231-1086 for premium HVAC services! If your old furnace has recently taken a huge last breath and then shuddered to a stop, you don’t have to mourn its loss. Updating your furnace can be an easy job when a trained professional from Ace Contractors is in charge. Call us at 1-888-231-1086 and in some cases we can even make a same day installation. Sufficient cooling is super necessary in the California heat. 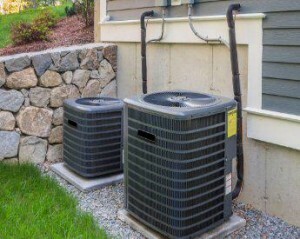 If you live in Del Mar and have been experiencing problems with your existing air conditioning system, call Ace to check it out. We offer free estimates and will give you all the information you need to make a decision in writing. Get your free estimate today! Because we specialize in both plumbing and HVAC services, we make it our business to be leaders in both industries. If you have been going back and forth over whether you want to take the plunge and update your water heater, we can help. Our skilled experts can come out to your property to assess your current unit and offer suggestions for a new unit such as a tankless version that will suit your particular needs. We can also handle burst pipes, sewage repair, and drain cleaning, too!